The deadline for Early Bird Registration has been extended to May 7 ! The secretariat will be closed for the 10-consecutive-days public holiday (April 27 (Saturday) - May 6 (Monday)) to celebrate the enthronement of the new Emperor on May 1st, 2019 and other public holidays. During the closure, any inquiries via e-mail and phone will be responded after Tuesday, May 7, 2019. We apologize for your inconvenience and appreciate your understanding. How to Get to Central Sapporo From New Chitose Airport has been updated. Instruction for participants has been updated. Registration & Accommodation has been updated. Tea Ceremony has been updated. Abstract submitters will be notified about the status of their abstract in the middle of April 2019. We would like to thank all authors who contributed their abstracts! The GOIW2019 abstract submission system will be temporarily suspended due to maintenance from 2:00PM to 5:00PM on Feb. 22. Application for Registration & Accommodation has been started. Program at a Glance has been updated. Abstract Submission has been started. Call for Abstracts has been revised. 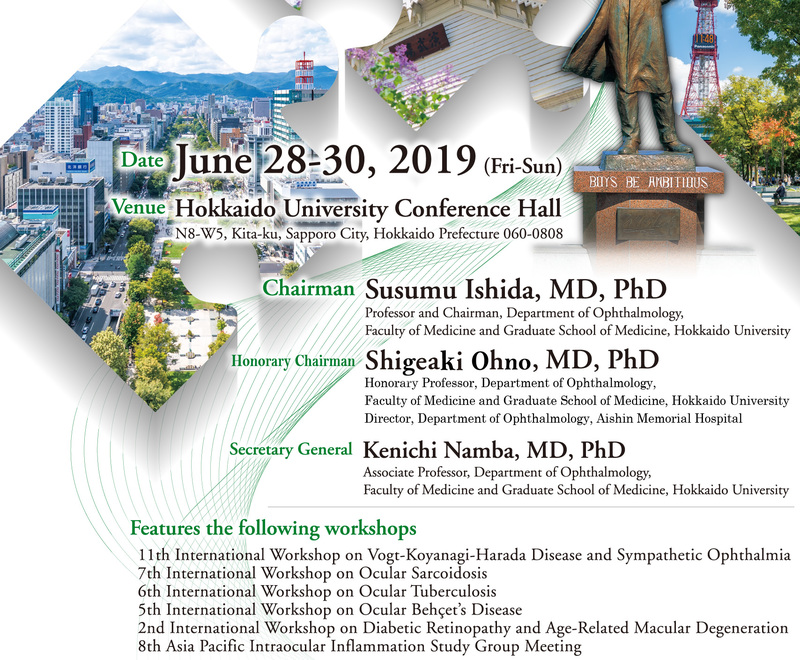 Ocular Inflammation Educational Program in Japanese has been updated. Call for Abstracts has been updated. COMMITTEE and BOARD MEMBER has been updated. Official website has been opened. Copyright © GOIW 2019. All Right Reserved.